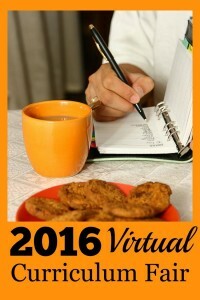 I had the opportunity to review the on-line reading program, Reading Eggs, last spring. My daughter Lizzie, really enjoyed the program and played it every day. Since then Reading Eggs has expanded. Now they have Eggy apps! These include Eggy Words, Eggy Alphabet, Eggy Phonics, and more. 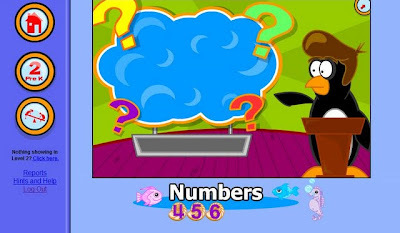 Eggy Numbers has a variety of activities for young learners. There are multiple accounts allowed so more than one child can keep up with their progress. 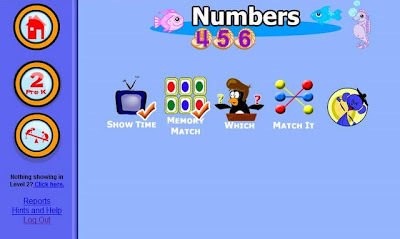 The activities include both those that teach the number, like drawing and copying, the number, and those that teach counting.This app is available both for iPad and iPhone and is recommended for children ages 3 and up. I played with this app and found the menu selection and games fairly intuitive. I did not have any problems with the game running. I liked the wide variety of animals used in the counting games. The graphics are attractive. We do not have an iPad, so I was using my iPod Touch to review this. I think that although the game works fine on the iPod, the larger screen on an iPad would be better. My 2-1/2 year old son struggled with dragging the farm animals into the pen to count them. But he’s a little under the age recommendation for this app and not really counting yet. He says sequences of numbers, but doesn’t have the “point at one object – say one number” concept down. (I think the technical term is one-to-one correspondence.) Lizzie, 6-1/2, did play with the app and liked it, but the concepts are not ones that she needs practice. Eggy Nursery Rhymes teaches young children a variety of nursery rhymes and uses the nursery rhymes to practice reading and spelling. 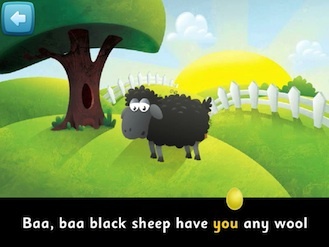 Some of the familiar rhymes include Baa Baa Black Sheep, Humpty Dumpty, and Twinkle Twinkle Little Star. In the sing-along view, the bouncing ball shows the words of the nursery rhyme. Then the child can practice spelling various words in the rhyme or choose starting letters of various words in the rhyme. I liked that the app allows you to select UK, Australian, or US accents. We found the bouncing ball was dragging a little behind the audio, but that is likely a problem with my iPod rather than the app. It’s a 2nd generation, so many of the new apps are pushing its limits. Once again, my kids didn’t match the age and skill levels perfectly. 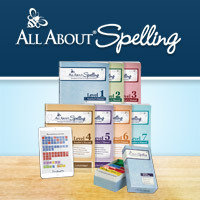 Andrew can watch the sing-along sections, and try to play the games, but he isn’t ready for the spelling exercises. Lizzie also likes the rhymes (and she doesn’t know them all, so it’s good exposure. ), but most of the activities are too easy for her. (But she’s a very good reader for 6-1/2 years old.) Overall, these are great apps to have if you have young children. There is a lot of play value for only $2.99 each. 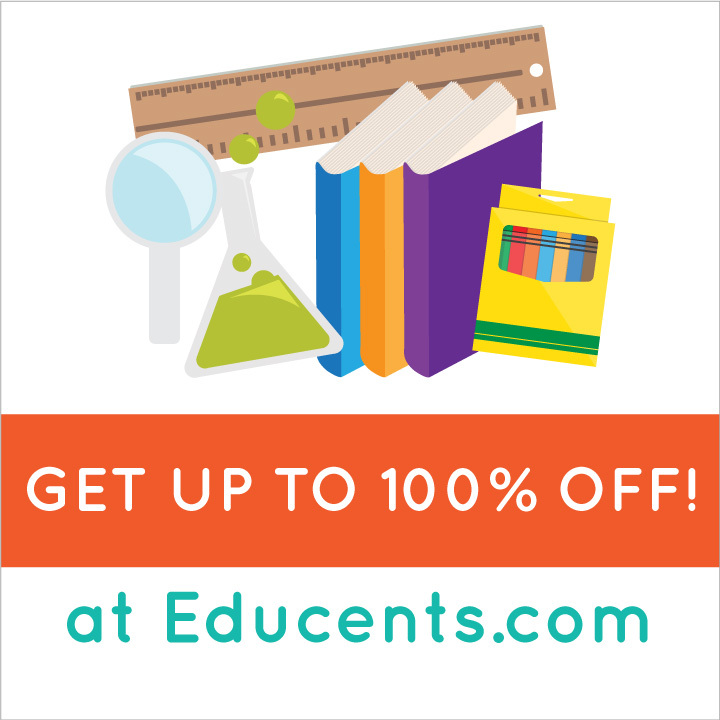 Time 4 Learning is an on-line educational program that is designed to help make learning fun. I was able to review Time 4 Learning for my elementary students last year. Since that time they have added a Preschool program. Lucky for me, I knew just the preschooler to try out the Time 4 Learning. My little one is 3-1/2 (today actually!). She loves playing on the computer and will take the opportunity every time she’s given it. This is the home page screen for the PK1 level. It can be accessed at any time by clicking on the house icon at the top left of the screen. (I apologize that the bottom is cut off. I could not get everything on one screen to take a screen shot.) 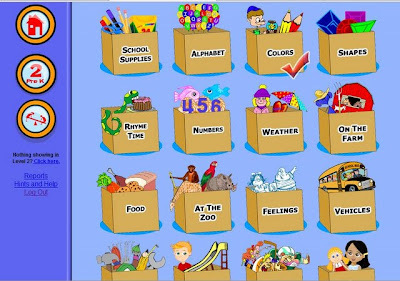 As you can see, there are a variety of categories of learning games. There are pictures to help the non-reader decide what to play. Also, a check mark appears when all of the activities in that category have been completed. However, it doesn’t prevent the child from doing those activities again. This is the screen the child would see after clicking on the Numbers icon. In this category there are several activity choices. (The choices are similar for all the activities.) Once again there are check marks to show which activities have been previously completed. 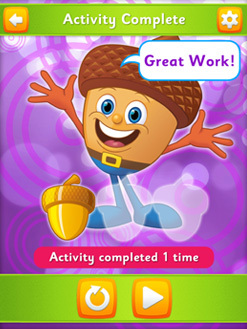 This is the screen for the “Which” activity. The child must select which of the numbers is correct. The penguin talks like a game show host, but the humor is lost on young children. I found the games to be both educational and entertaining, and my daughter frequently asked to play. After I showed her how the program worked, she was able to play entirely independently (except for logging in). It would be a very handy activity to occupy a younger child while teaching older ones. The subscription price is unfortunately not something that is in our budget, but many would find it a great value. 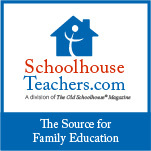 Disclosure: We received a 30 day trial of Time 4 Learning Preschool for free as members of the 2009-2010 Old Schoolhouse Magazine Homeschool Crew. 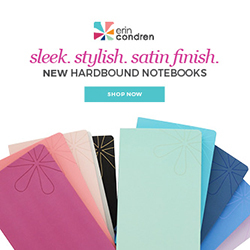 Reviews and opinions expressed in this blog are our own.